The two storey extension we carried out at this property in Croxley Green, Rickmansworth included a new kitchen installation. We helped the client revise their plans to improve both the light and access to the garden via the kitchen. We removed the existing kitchen, making good all walls, carried out plumbing and re-positioning of all services to allow for the changes in the new layout. 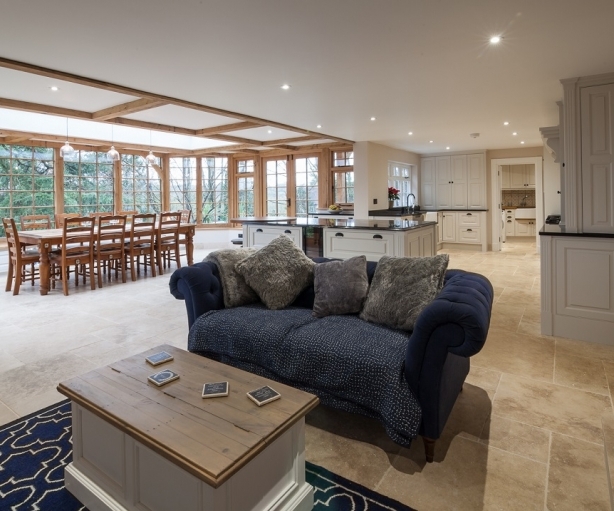 We altered the position of doors, installed the new kitchen, bi-fold doors to the garden, laid wooden flooring, installed LED kitchen cupboard lighting, all other lighting and decorated throughout.